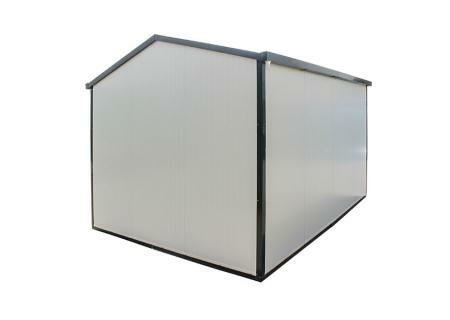 The DuraMax insulated building is an energy efficient modular insulated building. 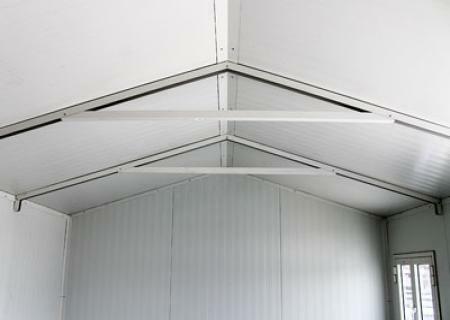 The construction provides a strong lasting wall that reduces heat gain on summer or heat loss in winter making these buildings ideal for all weather conditions and usable for various purposes. 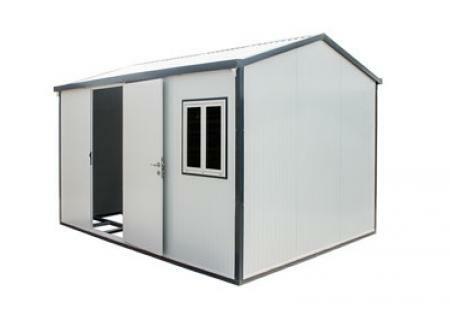 Prefabricated buildings are the perfect alternative to building an office, workshop, hobby room, temporary shelter with conventional construction materials like metal studs and drywall or concrete block. 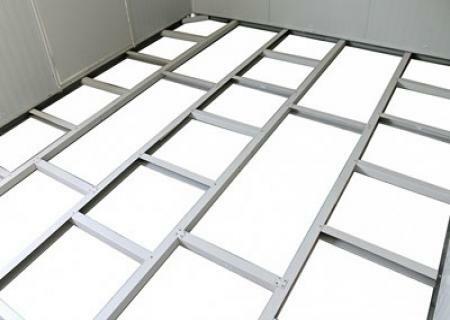 The installation is much faster because all of the components used to construct the prefabricated building have already been prepped at our factory. This prep process includes designing the layout and then pre-cutting all the materials at our factory and ready for immediate installation. Faster installation means less disruption to your daily business operations. Because there is no on-site fabrication there is also less mess. This can be especially important in areas where dust and debris could interfere with sensitive manufacturing operations. On average you can anticipate about a 80% time savings when using our modular design to construct your ideal room. Another advantage to using modular construction is that all of the materials purchased to construct your prefabricated building are reusable. If you need to move your building simply disassemble the components and move them to your new location. All of the components purchased are reusable. If you need to modify the original layout simply contact us. We’ll redesign your building even if no additional materials are required. This includes a new and detailed drawing that shows how all components will be integrated into your new layout. This added flexibility would not be possible if you had utilized conventional construction materials to build your office. 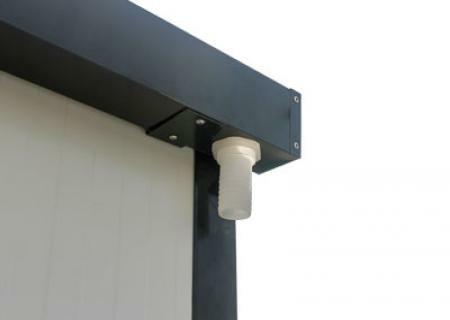 • Includes a metal foundation that allows building construction on just about any flat, level surface. 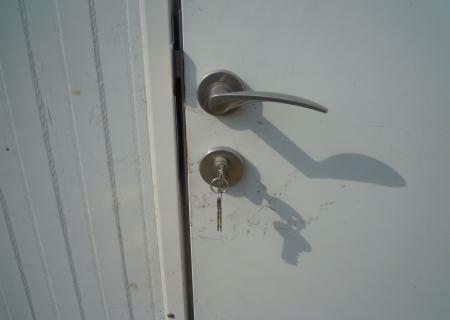 • Secured door with a dead bolt lock can be configured on any side wall panel of the building.